Winston's Random Musings: You've got mail...and spam! When a email arrived without any background or attachment, kindly reply with WTF (What's This For / Where's The File), and you will be greatly appreciated by the sender. And if your recipient is angry for whatever reason, you can reply with LOL (Lots of Love / Lots of Luck). 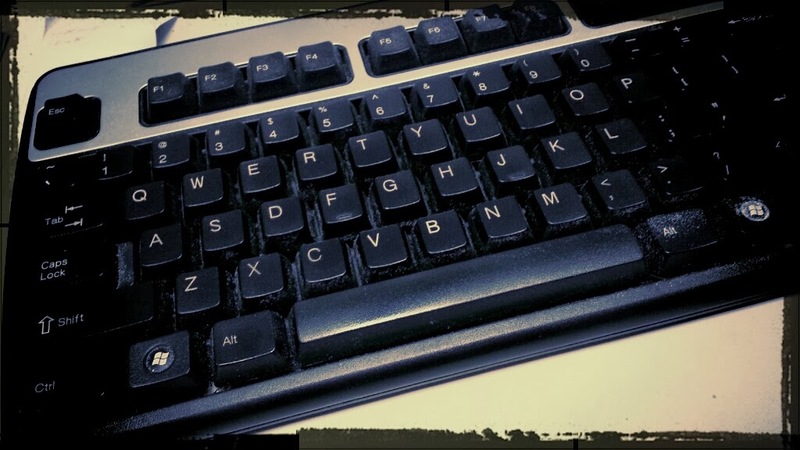 Never ever end an email with RGDS (Really Gross Document Seriously!) unless you mean it. I have a colourful digital/online persona. My top Whatsapp contacts are women; headhunters are clamouring to connect me via LinkedIn, and my SMSes are filled with unsolicited spams from housing agents. But my favourite is my Yahoo mail where on a daily basis, strangers around the world showed genuine concern over the size of my manhood, and a Nigerian prince is eager to share his million dollar inheritance if only I helped with the remittance fee. 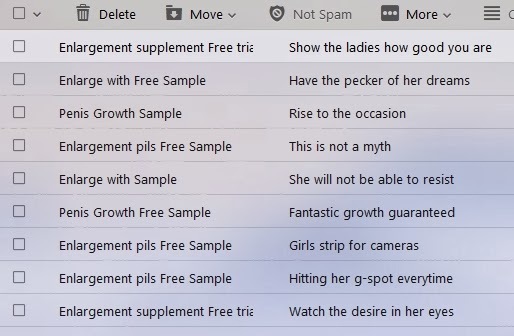 I had a long and hard look at how this copywriter must be sweating and getting his hands dirty coming up with suggestive email headlines in a bid to get his spam victims excited. I wonder how long he'll last before his juice runs out. May the Fourth...well, you know the rest.